New Horse Racing-Themed Detective Mystery Novel is Out! An Argentine racing syndicate uses four horses as collateral for a loan. When the loan defaults, the bank discovers that the horses have forged identities. Benny Goldfarb, Private “I” travels to Argentina, Brazil and Paraguay to unravel the fraud. The tri-border area is a haven for criminal gangs and terrorists. They stand between Benny and his client’s money. Why do they call Benny to unravel the crime? How do his unique skills come into play? Where does Benny stand with his love interest, Rosa? And how do Rosa’s newly-discovered Sephardic Jewish roots weave into this tale of crime, drama, travel, adventure, passion and romance? 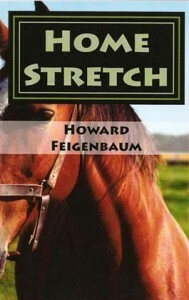 You’ll have to read Home Stretch, my latest horse racing-themed detective-mystery novel to find out. 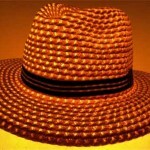 A New Hat – How Illuminating? A word of warning to people who wear hats on the top level of the hop-on hop-off buses: your hat and your expectations are at risk. I learned the hard way in Buenos Aires. The bus turned a corner. A gust of wind blew. My favorite brown newsboy cap took off across one of the wide streets of the city. There was nothing to do but wave good-bye to an old friend. As fortune would have it, when the bus returned to the station, there was a street vendor selling hats. He had them arranged on spokes sticking out of a pole. My wife picked out a nice-looking straw hat that fit nicely. The loss of a hat created an opportunity for a acquiring another that would be a fine example of Argentine handiwork. What a stroke of good luck. After examining the hat, I noticed a small tag attached to the sweatband: made in China. Sure I was disappointed. But not as disappointed as when I bought a bolo tie in Arizona—in the heartland of native-American culture—and the country of origin stamped on the back of the slide broke my heart. If travel has taught me one thing, it’s that my memories of the people and places are the only authenticity I can count on. I like to have my characters enjoy a good meal. Food is fascinating. If you’re writing about location, why not include food? The characters in the Benny Goldfarb, Private “I” series spend a lot of time in South America. 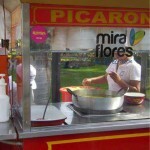 The cuisine changes from country to country, depending on the agricultural traditions. For example, Argentina is big on beef and empanadas. Peru offers a smorgasbord of almost endless types of potatoes. The menus in Colombia are loaded with fish. In my experience, readers enjoy having the local food incorporated into the story. From my point of view, food is part of a culture. I like to illuminate the setting that characters occupy by occasionally referencing the meals. The reader makes a silent judgment about the food. Sometimes curiosity about a particular dish is aroused and satisfied. The ingredients may add to a feeling of what life is like in that distant place. In any case, I like to have my characters enjoy a good meal. Why not? It’s my story. And they seem to like the experience. Everywhere is different. Everywhere is the same. We see the world as we travel through it, noticing the things that vary from what we know: the language, the customs, the clothing, the food, the architecture. But the people are not so different. The only thing missing in our encounter is that we don’t know each other. 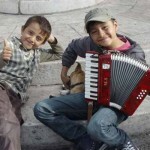 In the town square, two boys sing and play the accordion. We enjoy. The simplicity and innocence of youth draws us to them. We instinctively care. 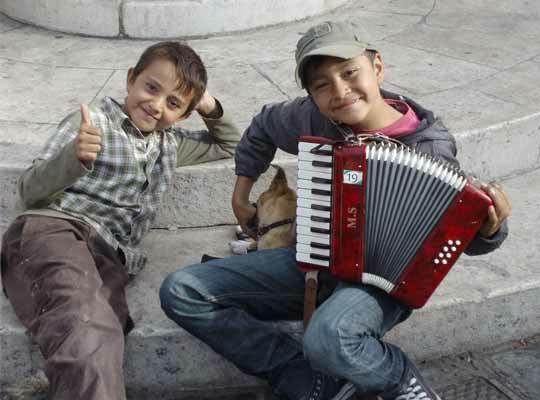 Our smiles begin the introduction to hearing the music of life. 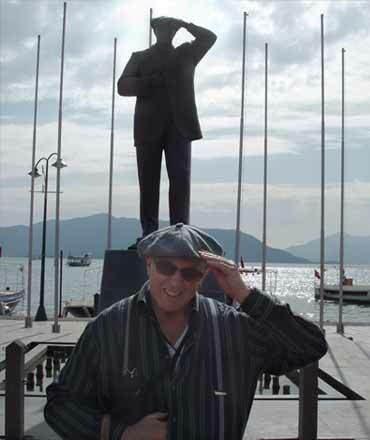 Attaturk statue in harbor, southern Turkey. Mustafa Kemal Attaturk, the father of modern Turkey, made revolutionary changes in Turkish society. The first president of Turkey abolished the existing caliphate, separated the state from Sharia law, abolished the use of Arabic while establishing a Turkish language and modernized the country. Women were free to choose their mode of dress. He encouraged the adoption of western styles. For me. Attaturk’s preoccupation with the hat is fascinating. 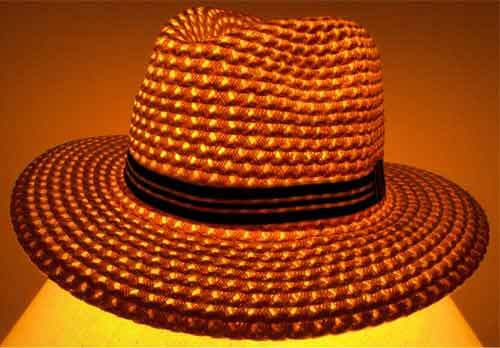 He wore a Panama hat, among others. Fedoras, derbies and other western hats were, to him, symbolic of a civilized nation. He required civil servants to wear hats and suits. As a writer, and as a lover of hats, headgear is a visual representation of one’s presentation to the world. We know this from watching old-time western movies. The good guys wear white hats, the bad guys wear black. When we see the hat, we know they are cowboys. 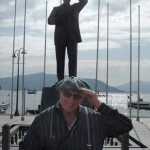 When I visited a small town along the southern Turkish coast, I saw a statue commemorating Attaturk. He was wearing a newsboy-style cap. I was wearing a newsboy-style cap. Immediately, I felt an affinity for Attaturk. We were hat guys. We even preferred the same style. The description of a character’s clothing is important for the reader. 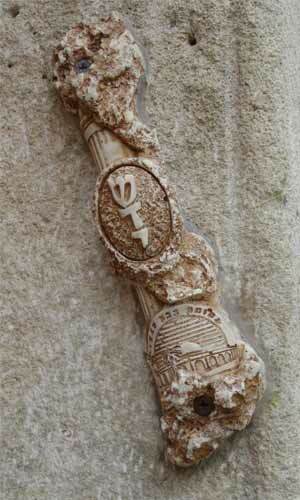 The detail in appearance tells a story of its own. Work – and how performance tells a tale. The job doesn’t matter. It’s how the character performs the work that tells a tale. I love professional waiters. They make the dining experience worthwhile. Knowledge of food and drink is important. Knowledge of people is even more important. For me, excellence deserves respect. Mediocrity does not. We all have our opinions about how people behave. I think most of us would usually agree on issues of good and bad. When words describe the behavior, we can share the vision. 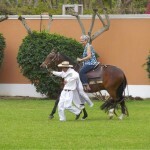 I had the pleasure of visiting Montecristi, Ecuador, the home of the Panama hat. The manufacturing process is low tech. 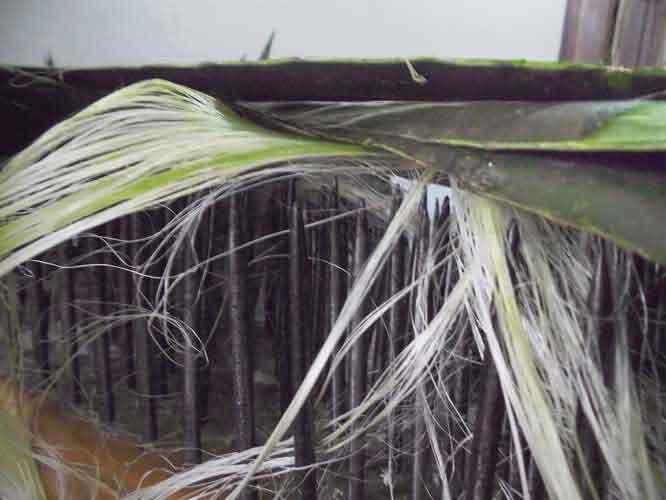 Leaves of the agave plant are shredded to get the fibers for weaving the hats. The quality of the fibers determines the quality of the hat. The people who made the hat I bought were proud of their product. I think of the hat’s beauty every time I wear it. 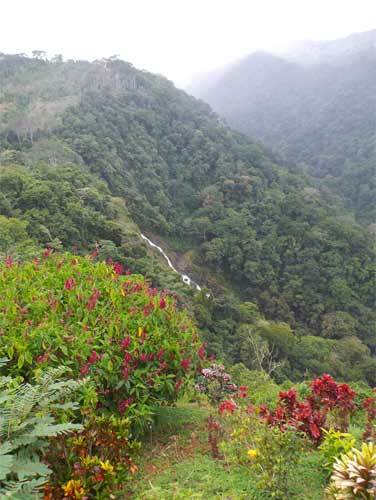 And, in the third volume in the Benny Golfarb series, when I relate the adventure in Ecuador, the hat and the native people in the mountains above Manta, will shape the writing. Food - what the locals are eating. “Tell me what you eat, and I’ll tell you what you are.” Frenchman Brillat-Savarin believed that food had its own story to tell. I agree. Writing, travel and food come together in providing a snapshot of a culture. Eating what the locals eat is the first step in appreciating who they are. Benny Goldfarb, Private “I” has descriptions of what characters are eating in Colombia. My colleagues often tease me about a chapter making them hungry. That is an unfortunate side effect. 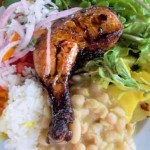 I believe that by sharing the same cuisine, I move toward greater cultural appreciation. Speaking the same language also has a similar result. There are concepts couched in speech that have cultural nuances. 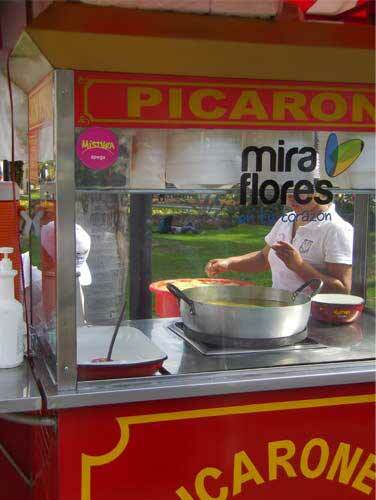 What might a citizen of Lima feel on a weekend afternoon in Kennedy Park when enjoying freshly-made picarones, a doughnut-like treat? There’s one way to find out—get in the line at the kiosk, and wait your turn. 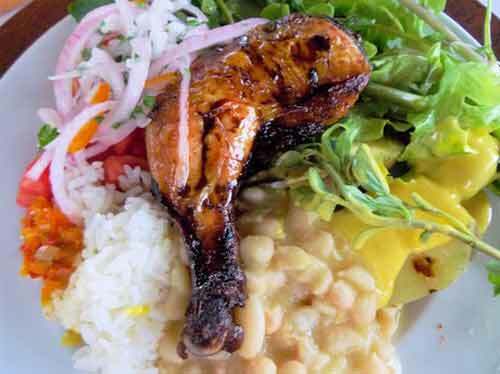 You will know what generations of Peruvian parents and children have relished. Looking Inside a Book’s Main Character. Is Benny Goldfarb, the protagonist in Benny Goldfarb, Private “I”, a Jewish character or a character who happens to be Jewish? He is a man with a moral sensibility and an appreciation of how that happened. In writing, characters demonstrate who they are through behavior and their reaction to events. In general, we don’t know the religion of the protagonists in the books we read. However, when someone has a name like Benny Goldfarb, an assumption occurs. If the reader makes that assumption, why not satisfy the curiosity—not as the focus of the work but as an interesting detail. Why should the majority of detective/action/adventure characters have Anglo-Saxon or French names? In this case, Benny Goldfarb is an American who works as a private investigator. In truth, he cannot escape the perception of his ethnicity. 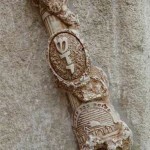 In the story, his thoughts and feelings are shaped by his tradition and religious beliefs. A visit to the Palace of the Inquisition in Cartagena, Colombia transforms Rosa Zuleca, the main female character, when she confronts the effects of the Spanish Inquisition on her family. Although this theme is a subplot, it adds depth to the story by introducing a setting where history, injustice and an individual’s identity meet. When is a horse not a horse? When it’s a Paso Fino. 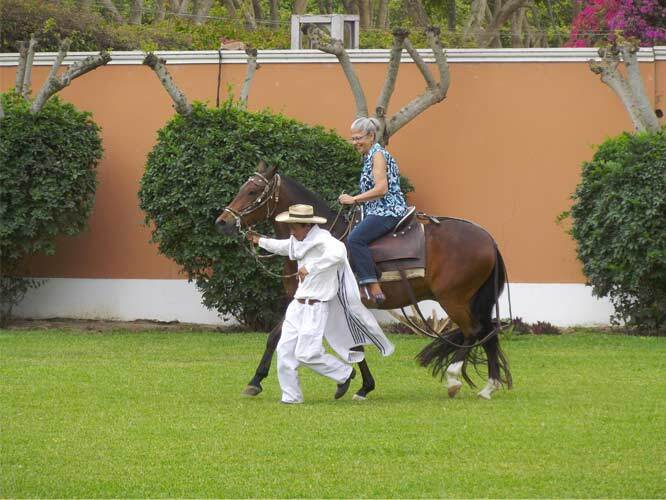 Peruvian respect is profound for a breed of horse unique to the nation. The small, sturdy, smooth-gaited horse improved travel over long distances in mountainous terrain. Hacienda owners loved the Paso Fino. Why is this notable to me as a writer? The animal is a physical representation of social class. If I write about Peruvians, I should consider where someone fits in the power and economic structures of the country. The issue is part of the realistic detail that benefits the believability of fiction. James Michener, in Hawaii, does that very thing. The development of his characters occurs within the context of where they fit in a tribal society meeting the modern era. The writer can show who characters are, not only by what they say and feel, but also by their social position. 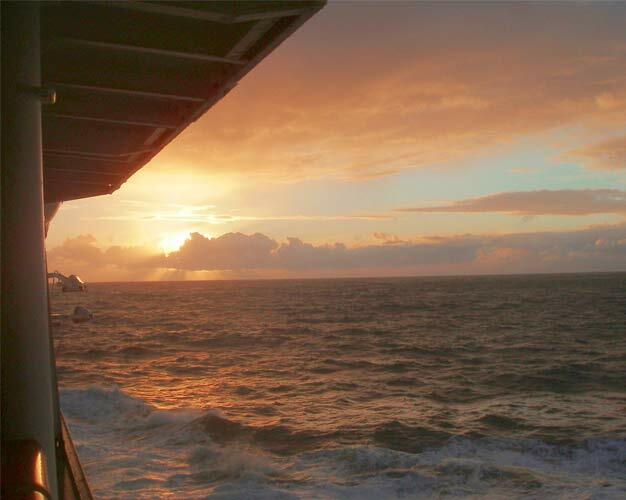 Experience – the effect of Cape Horn. What’s it like to round the Horn? For me, the experience was extreme. In the space of two hours, there was rain, hail, high winds, snow and sunshine. How did this affect me as a writer? I understand why the Bounty’s crew mutinied. In the movie, Captain Bligh informs the crew that he is taking them back to England by way of Cape Horn. The crew protests, “No, not the Horn!” Shortly after, they seize the ship and turn back to Tahiti. After experiencing the Horn, I would have joined them. Who wouldn’t? Half the ships rounding the horn foundered on the rocks. Their descendants inhabit southern Chile. Nordhoff and Hall, the authors of Mutiny on the Bounty, traveled to Tahiti. The story benefited from their experience. Their research included perusing Captain Bligh’s journals, the ship’s log and historical accounts. The rich detail in a work of fiction is a thing of beauty. Everyone has to be somewhere. Is that too obvious? Not to me as a writer. I feel an obligation to help the reader imagine the setting. The geography affects the ease or difficulty of movement. 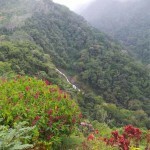 The flora, fauna and weather contribute to a sense of environment. The Andes shape the use of South American countries. 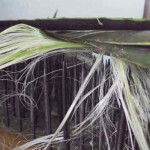 They are a barrier running down the interior of the nation. If you are wealthy, the range is something to be flown over. If you are not-so-rich, the bus trip can take days, or longer if landslides block the road. The isolation of the Incas and other native groups helped them evade the Spanish conquest. Native cultures still flourish at high altitudes. In Benny Goldfarb, Private “I”, the protagonists travel into the interior of Colombia. The detail of the story almost demanded the inclusion of a native group. In this case, the Paez tribe provides another point of view in Colombian society. My take on Argentina’s normal. I have been to Argentina twice. I love the country’s physical beauty, the friendliness of the people and the food. 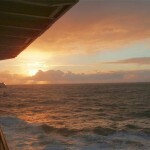 Travel gives me an advantage. I have experienced the reality of how things are. I can incorporate the detail in my story. Currently, I am finishing the second book in the Benny Goldfarb, Private “I” series. The setting is Argentina, Brazil and Paraguay. While I constantly research as I write, the experience of being there adds depth to the quality of the writing. Argentina, like other countries in South America, has a colonial history. The architecture reveals something about the culture. 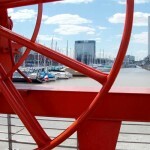 The country still has close economic and social ties to Spain. However, Buenos Aires, like Brasilia, has a fascination with modern architecture. 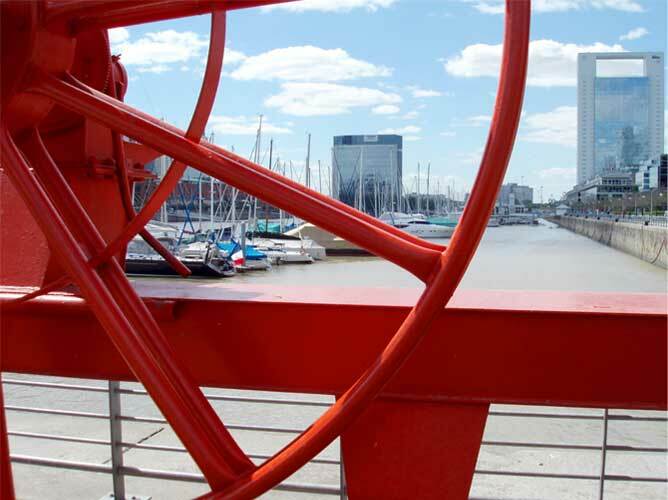 The Puerto Madero neighborhood, built on land reclaimed from the Rio de la Plata, breaks with the past in its physical footprint. Who are the Porteños, as citizens of Buenos Aires call themselves? They are romantic. They invented the tango. They take time out to have drinks with family and friends. They eat the best beef in the world. They love horses and futbol. They have a mythic figure, the gaucho. They have a history of turbulent national politics and corruption. As I write my story, I try to paint the characters with my understanding of what is normal in their world. I believe the reader appreciates the nuances in the portrayal. Even if the reader hasn’t been to Argentina, he or she can catch a glimpse. I love it.